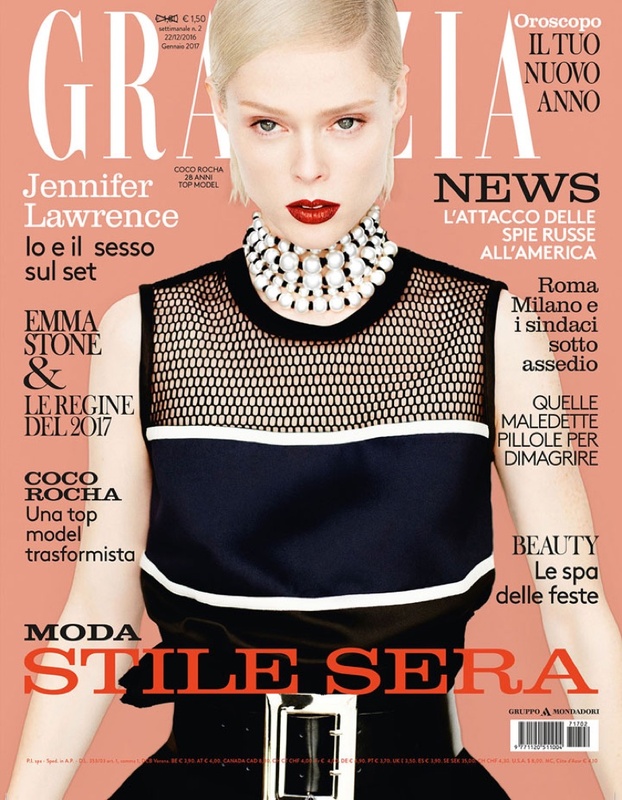 Model Coco Rocha graces the December 22nd, 2016 cover of Grazia Italy. The blonde beauty poses for Liu Zongyuan in a futuristic look featuring mesh and color-blocking. In the accompanying spread, Coco stands out in fashions from the winter collections. The Canadian beauty takes on bold shapes and colors with ensembles styled by Hubert Chen. 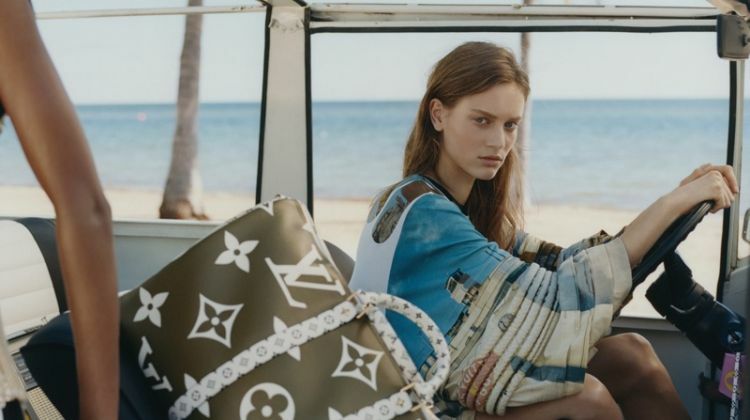 From Lacoste’s sporty glam to Puma x Fenty’s streetwear chic, Coco works it in each shot.